The Close the Loop 5K race will take place from 7:30 to 9:30 a.m., Sunday Sept. 22, 2019, where runners/walkers can enjoy a great view of San Diego Bay. ​Packets will be available for pick-up before the race start time. The course starts and ends at the Hilton Bayfront Hotel. Participants will be able to enjoy the panoramic view of San Diego's vibrant waterfront in Embarcadero, where there is something for everyone. You can register for the Close the Loop 5K or donate to the Breast Reconstruction Awareness Campaign as a virtual participant. This is for those who wish to only to contribute to the Breast Reconstruction Awareness Campaign. You will still need to sign a waiver from the USA Track & Field, Inc. because the registration system does not know virtual runners/walkers do not physically participate. You can also register as a member of a team (no limit on team size), team captain, or create a new team. Teams can be runners or walkers. Register and start your team today! 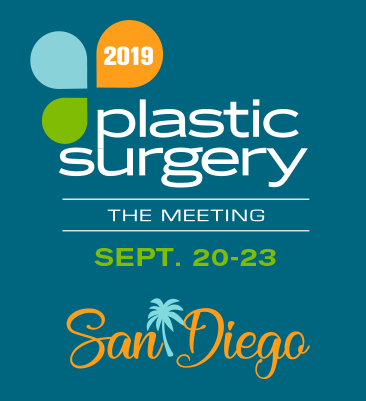 Funds generated from the Close the Loop 5K will be awarded to San Diego organizations through the Breast Reconstruction Awareness Campaign of The Plastic Surgery Foundation (PSF), the philanthropic arm of the American Society of Plastic Surgeons. The Breast Reconstruction Campaign supports research projects focused on breast reconstruction and provides educational opportunities and financial assistance to organizations that support uninsured or under-insured women who choose to have breast reconstruction following a lumpectomy or mastectomy due to breast cancer. To volunteer for the Close the Loop 5K, donate to The PSF or the Breast Reconstruction Awareness (BRA) fund specifically, please contact Rochelle Jerry at (847) 228-7597.